My name is Corwin Edberg. I’m a psychologist and a life coach. I dedicate my practice to helping people use their breakups to turn their lives around, so they can become the best possible version of themselves and meet their authentic love, their ideal partner. I can help you! After a devastating breakup, almost everyone wants things to go back to how they used to be. We believe that we can’t live without the affection and stability our partner gave us. So right after a breakup, it’s all about wanting your ex back, no matter what it takes. But as we move past that phase, we begin to realize that we might be facing a significant opportunity. That”s where I can help. I can inspire, motivate, and equip you to turn your breakup into the catalyst you need to become stronger and more self-assured. I can help you break free from your ex, to regain your emotional freedom, and to live the life you’re truly destined to live. My own journey began when I was at the very lowest point in my life. Just before our wedding, my fiancée left me, telling me she didn’t love me anymore. I was forced to look deep into myself, something I’d been avoiding my entire life (at least my entire adult life). I realize I’d built my life on a false notion of certainty. I did it to hide my self-hatred and pain. My ex-girlfriends all were tools I used to feel at least some shred of self-worth. That made me needy, excessively jealous, quite unattractive. I only realized later in my recovery process that it’s not possible to grasp all the reasons for a breakup immediately after it happens. So I broke up from toxic relationship after toxic relationship after toxic relationship, until that final, most devastating breakup of all. It was the culmination of everything that had been building up for many years. Weeks after that breakup, I still thought my life was over. In some ways, it was over. I thought I had nothing left to live for. Then I got some unexpected help. It felt like a miracle. That help finally pushed me in the right direction. It literally saved my life and changed me right down to my core. After that, things could really take off. I studied psychology and the anatomy of breakups. I discovered how I could stop thinking about my ex. I re-connected to my true self, and as a result I became more attractive to women. Then I formulated my “Six Steps to True Love” and began teaching them, first to family and friends after their own breakups, and later to real clients. After that, I developed BlogDollz.com to share with more and more people all over the world. I tell my readers and clients that love will only find you when you’re ready. It’s your job to be sure you’re ready. That’s exactly what happened to me. And when I was “ready”—when I finally felt self-aware, confident, attractive, went on a few dates, and truly understood the mistakes made in my former relationships—I met my true love. We first met via email. She got my contact information from a mutual friend, who’d been speaking highly of me. So she wanted to meet me and get to know me. Seriously, now. What are the odds that something like that could happen? I knew they were quite high, because I was ready! As a result, I’m living a wonderful life. I’m married to the perfect woman for me. We have amazing children. And I have the honor of helping so many of you follow in my footsteps and find your own lasting, true love. The first thing you need to do is to discern where you’re at in your recovery process. How do you do that? 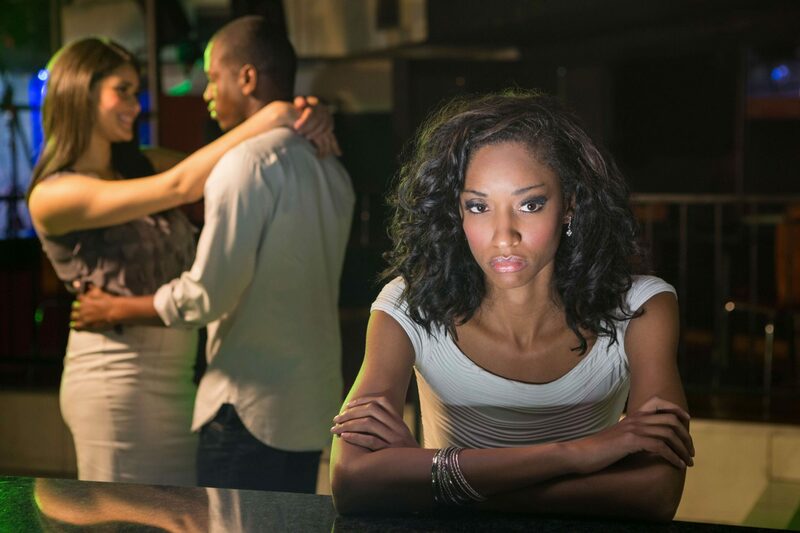 How do you get over your ex and find true love? I’ve developed an online test you can take to discover which areas of your life you need to improve. Find out which skills you need to acquire so you can stop thinking about your ex. Discover what you need to do to truly move on, and become more attractive. And see how much more you still need to learn. Take the test right now at BlogDollz.com. If you’re ready, set out on your journey to leave your past in the past and move on to the perfect partner for you. If you want to get to know me better and to receive free articles about breakups, relationships and love, like or follow me on Facebook, Twitter and Instagram. I look forward to meeting you, to help you recover from your breakup, to reconnect to your true self and to find the perfect partner for you! Should You Ever Eavesdrop on Your Partner?